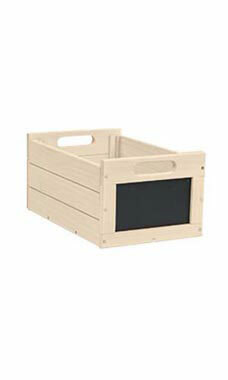 This Small Antique White Wooden Chalkboard Crate is perfect for displaying your smaller merchandise. Set them on a shelf or near checkout to increase impulse purchases and use the chalkboard to call-out sales or prices. This crate is 8 1/2"W x 13 3/4"D x 6 1/2"H and sold individually.